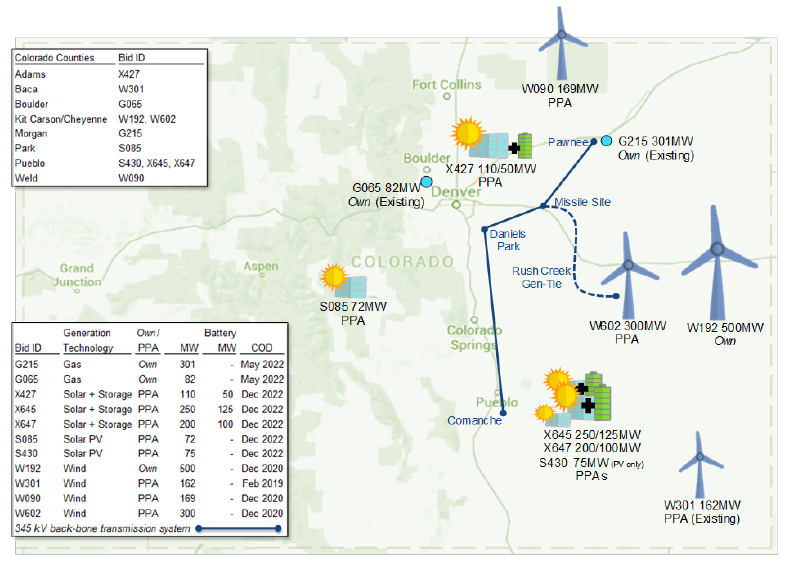 Rural Colorado counties have recently attracted new jobs from renewable energy projects, and Public Utilities Commission's approval of the Colorado Energy Plan will lead to another $2.5 billion investment and further expansion of those industries, particularly in Cheyenne, Kit Carson, Weld, Baca, and Pueblo counties. The corollary economic impact on Colorado’s rural counties cannot be understated. Rural Colorado is proud to be a leader in renewable energy production, delivering reliable energy resources that support competitive energy rates across the state. The increase in renewable energy projects in rural communities has had a significant positive impact on our local economies. These economic benefits extend well beyond the short-term construction phase. The long-term assets proposed for construction increase the local tax base which helps fund local services, public safety, schools, and libraries. The projects provide desirable and high paying jobs that keeps local workers in our communities and drive new vocational training at local community colleges. For projects on private land, local land owners receive stable long-term lease payments that reduce reliance on erratic commodity prices. A report from Energy Strategies also found that Pacificorp could reduce costs for its customers by closing higher cost coal units, including the Craig and Hayden coal plants in Colorado, in favor of new wind energy projects. Other utilities in Colorado like Platte River Power Authority and Black Hills Energy arealso planning new wind energy projects as a way to reduce costs. And Xcel Energy itself could pursue a broader transition away from coal - Executive Vice President David Eves said at a conference this year that the Pueblo coal units "will not be the last coal plant we retire early." Article used with permission from Joe Smyth, read it and more reactions to the Public Utilities Commission approval of the Colorado Energy Plan at CleanCooperative.com.